Hoppe's BoreSnake is the fastest bore cleaner on the planet. One pass loosens large particles, scrubs out the remaining residue with a bronze brush, then swabs it all spotless with a cleaning area 160x larger than a standard patch. Add a few drops of Hoppe's No. 9 Lubricating Oil or Hoppe's Elite Gun Oil and your gun is ready for storage! 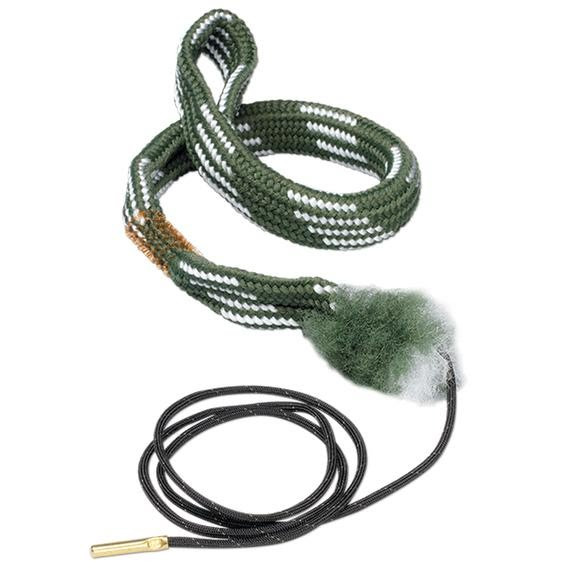 Hoppe&apos;s BoreSnake is the fastest bore cleaner on the planet. One pass loosens large particles, scrubs out the remaining residue with a bronze brush, then swabs it all spotless with a cleaning area 160x larger than a standard patch. Add a few drops of Hoppe&apos;s No. 9 Lubricating Oil or Hoppe&apos;s Elite Gun Oil and your gun is ready for storage!